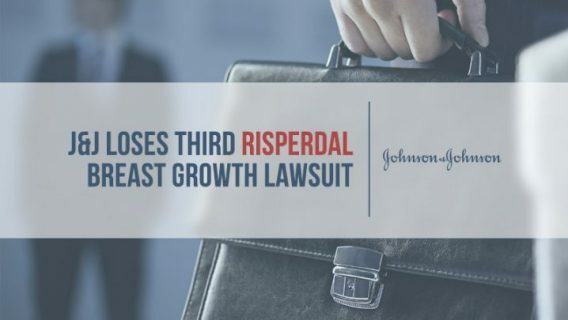 A Philadelphia jury ordered Johnson & Johnson’s subsidiary Janssen Pharmaceuticals to pay $1.75 million to a man who developed female breasts after taking the antipsychotic Risperdal (risperidone) as a child. 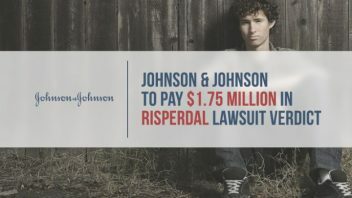 The fourth Risperdal lawsuit to go to a trial by jury resulted in another verdict against Johnson & Johnson. A jury awarded the family of Austin Pledger $2.5 million in the first Risperdal trial in February 2015. 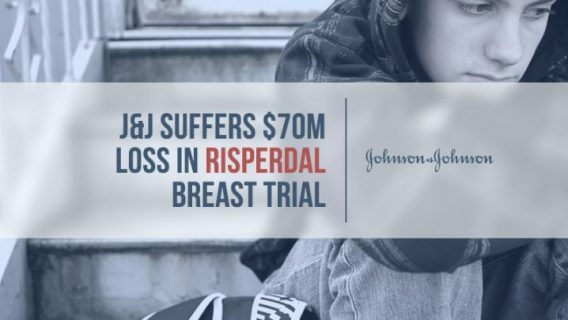 A month later, a jury found J&J failed to warn of the risks of male breast growth in the second Risperdal trial. However, the jury did not award damages because a direct link between the man’s breast growth and Risperdal could not be established. The third Risperdal trial began Oct. 15, 2015. That trial is ongoing. The fourth trial centered on Nicholas Murray, who began taking Risperdal in March 2003 when he was nine years old. 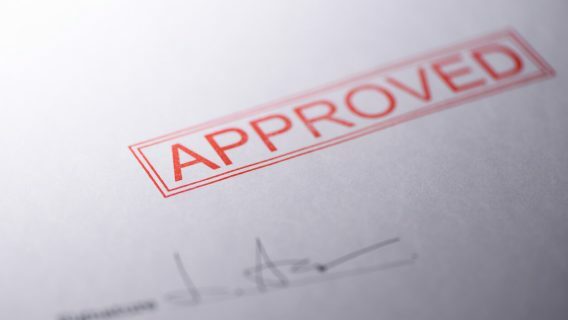 At the time, the U.S. Food and Drug Administration had only approved Risperdal to treat schizophrenia in adults. However, Johnson & Johnson and Janssen had illegally promoted Risperdal for use in children during the 1990s and early 2000s. The company settled charges brought by the U.S. Department of Justice for those offenses for $2.2 billion in 2013. Murray took Risperdal for five years, but while he was taking it the FDA expanded the drug’s approval to treat irritability in children and adolescents with autism spectrum disorders. “The most significant part of the case is the patient took the drug after the label change in 2006,” Steve Brill told Drugwatch. Brill is a New York Times best-selling author who wrote a 15-chapter docuseries covering J&J’s Risperdal cover-up for the Huffington Post Highline. Brill said the case was tougher for the plaintiff than the first two trials, because Murray continued to take Risperdal after the expanded approval. However, the jury found J&J and Janssen failed to warn doctors and patients of the risk of gynecomastia (male breast growth) in boys. The jury awarded $1.75 million for damages from disfigurement and mental anguish. The third Risperdal trial, which began 11 days before the Murray trial, is still ongoing in Philadelphia court. The trial involves Tim Stange, who took Risperdal as a child from 2006 to 2009 to help with symptoms of Tourette syndrome. Accord to the lawsuit, J&J failed to warn Stange and his doctors of the risk of gynecomastia. It’s a crucial case for all parties involved. Although Stange took Risperdal after the drug’s approval was expanded for use in children, the lawyers may argue the warning for gynecomastia on Risperdal’s label was inaccurate. The label warned the risk for gynecomastia was 0.8 percent, but lawyers and researchers have argued J&J and Janssen scientists skewed the math. The real rate of gynecomastia in boys is actually 4.5 percent, according to Brill’s coverage of the Risperdal cover-up. If a jury awards a verdict in favor of Stange, it would be the third trial loss for J&J. 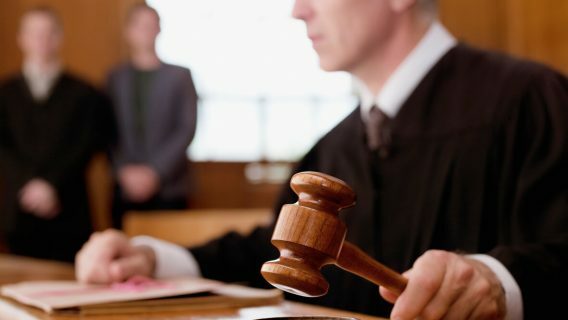 The company would only have one partial victory and three losses in four cases. Brill, who founded Court TV and has a law degree from Yale, said if J&J received another negative verdict it would probably look to avoid future trials by settling most of the more than 1,500 lawsuits against it. “It wouldn’t surprise me if they sought a massive settlement,” Brill said.